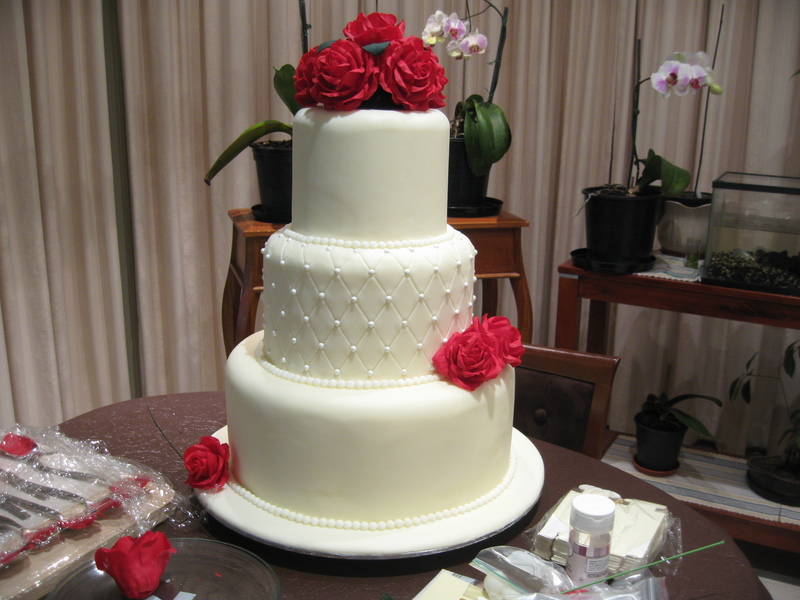 This is the wedding cake I made for my sister when she got married in 2011. Unfortunately this photo shows the cake that is not fully complete yet however this was the sharpest image I could find. The thing that took the longest to make were the roses as each petal was hand cut, shaped, rolled, attached and each rose had about 30 petals altogether. In the end I have to say that it was all worth it, especially since I only have one sister. 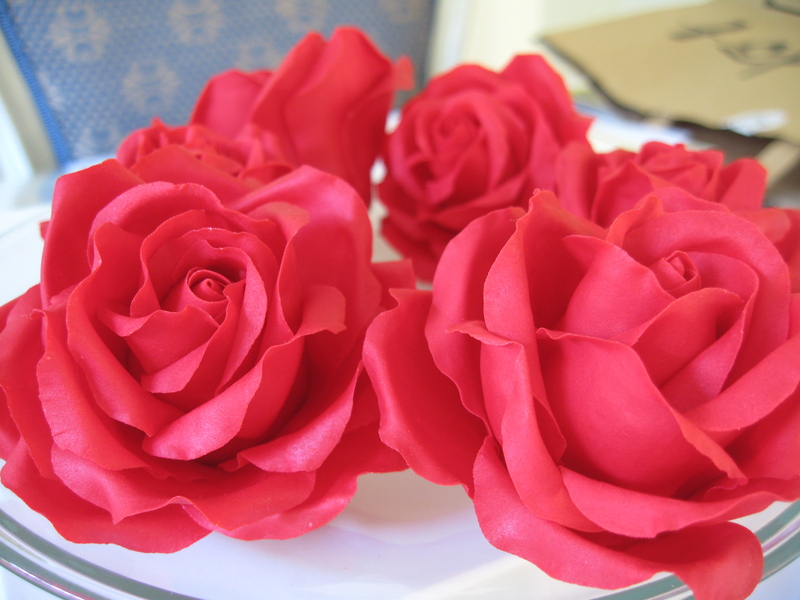 (Below) Close up of some finished sugar roses.